Majority of Mumbai and Delhi based Pilots have decided not to fly if the commitment is not fulfilled by February 28." 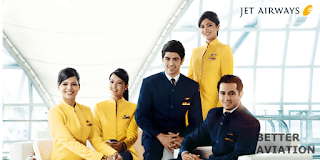 In November, Jet Airways had assured all its Pilots that the Jet Airways I Ltd would clear all pending dues by January and had even outlined a Good Payment Schedule. But the Pilots, who have not been paid Salary since August last year when Jet's financial troubles came to the fore, allege, "Nothing has changed so far. In the past the money was coming in 25% installments and now it will be paid 50% in one go! Imagine those Pilots who are on low budgets and have so many Commitments to fulfill." Jet Airways Ltd did not respond to the Financial Issue query till the time of going to the press. “This is a Pilot Training facility whose Alumni numbering in Hundreds are either providing services to prestigious Airlines in India and Foreign lands or have retired. The homecoming is the maiden programme of its nature and endeavours shall be made to conduct similar Get-Togethers in future. Besides, a special fund will be set up to serve as a medium for assisting education, health, etc of this institution’s employees and their kin,” Mr Sarkari – who compered the proceedings – said. Top officials of various Airlines were among those present. At the event’s commencement, a brief silence was observed as a mark of respect to the Central Reserve Police Force personnel martyred in Thursday’s dastardly terror assault in Jammu and Kashmir’s Pulwama District. MC Aviation Partners Inc., the wholly owned Aircraft leasing unit of Japan’s Mitsubishi Corp., said it will decide after 21 February on whether to repossess five Boeing Co. 737 Air Planes it has leased to cash-strapped Jet Airways (India) Ltd.
Jet Airways, which has lease rentals overdue with MC Aviation, has convened an extraordinary general meeting of shareholders next week to decide on a proposal to convert a portion of its large debt into equity. “Jet Airways hasn’t paid dues to MC Aviation Partners since October 2018," a senior official of the leasing firm said on Wednesday. The official declined to be named.